I’ve recently started playing golf again. I used to play golf four or five days a week when I lived in Ohio, in the US, but I completely stopped playing when I moved to Japan. 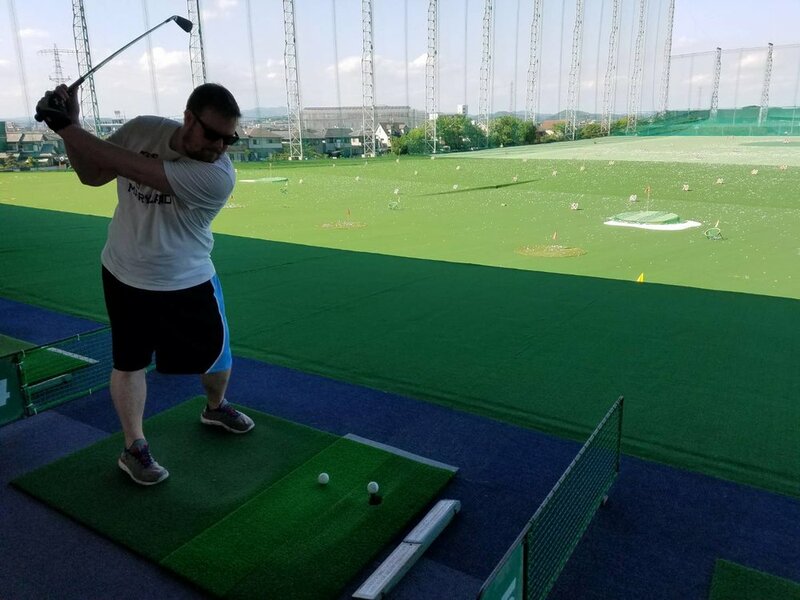 A couple of weeks ago I went to a driving range in Konan, near the airport, and hit balls for a couple of hours. I am happy that I still remember how to swing a golf club, although I am pretty rusty (腕が落ちる). My wife is also interested in golf, and one of her coworkers gave her a set of clubs to practice with. I’m jealous of her clubs, so I think I may pick up my clubs (which have been sitting in my parents’ basement for the past six years) when I go back to the US next month. It’s nice to pick up an old hobby that I haven’t done in years. I think many Americans have a similar feeling when they come to Japan and have to start riding a bicycle again. Less than 4% of Americans ride bikes to work, so most Americans who come to Japan haven’t ridden a bike since they were children. Have you ever quit a hobby and then started it again years later?